Tuesdays are my day for basting quilts. The last few Tuesdays I've had other obligations. Over that time this pile of tops, backs and batting have been growing. Thankfully tomorrow I'll be able to meet with friends and get this pile moved a step closer to completion. Good thing I have a lot of safety pins. Anna and I had a very successful day at the farmer's market. Our soap shelves are in need of replenishing. 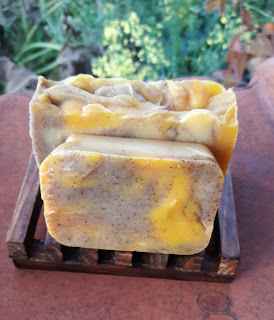 We sold out of Lemon Poppyseed and only have a few bars of Cedar/Vanilla, Lavender/Sage, Groovy Love, Pumpkin Spice, Eucalyptus Mint w/ Aloe and Good Morning. So what's a girl to do? 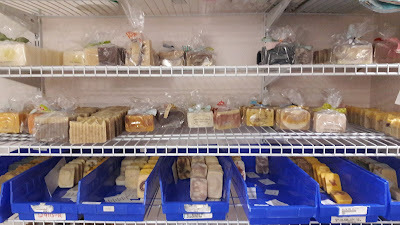 Make lots of soap. 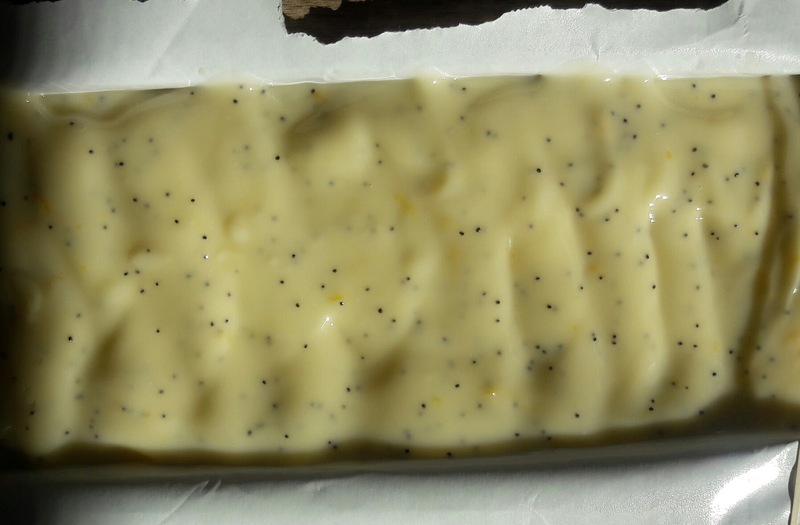 I started with the Lemon Poppyseed. I do love the clean lemony scent of this bar. 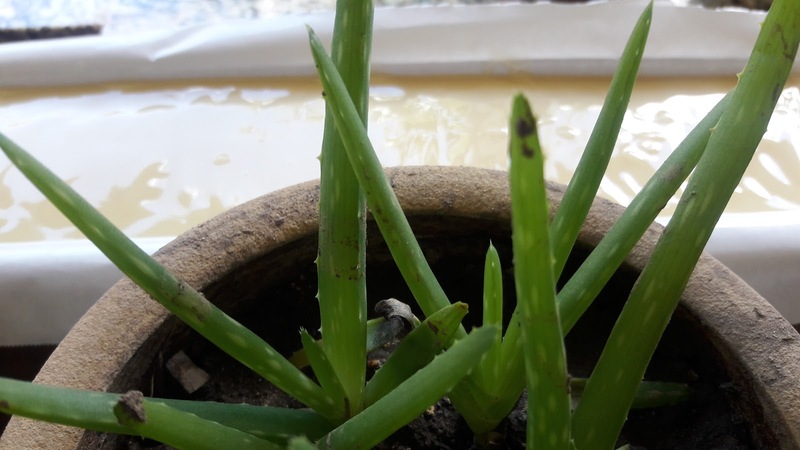 Next I made Eucalyptus Mint w/ Aloe. This is Anna's favorite. She sings it's praises which sells a lot of it. Not only that we recently got this great review for this bar on our Etsy shop. I love them all, but the eucalyp/mint w/aloe bar is incredible! Our Spiced Cider Bar is now ready and in the Shop. I was hoping to get a few more batches done before we left for Portland. Sadly I ran out of time. So many fun and wonderful things to fill my days and so little time in which to accomplish them. I definitely need more hours in my days. Now it's your turn. What have you been moving forward? Looking forward to seeing your progress. It looks like you've got a lot of quilts to baste. Good luck with those. If you've got helpers they will go fast. I’ll bet those soaps smell heavenly all together. 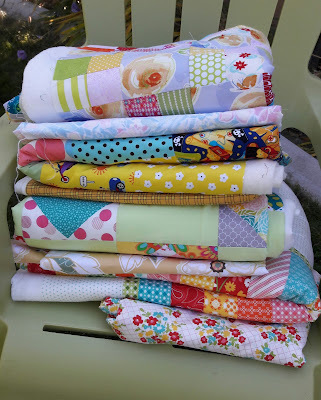 The pile of quilts looks wonderful but I sure would hate to be the baster. Glad your soap business is booming. I wouldn't be able to decide which one to try first. You come up with some lovely sounding concoctions. What wonderful scents for your soaps! So glad you are doing well with it.